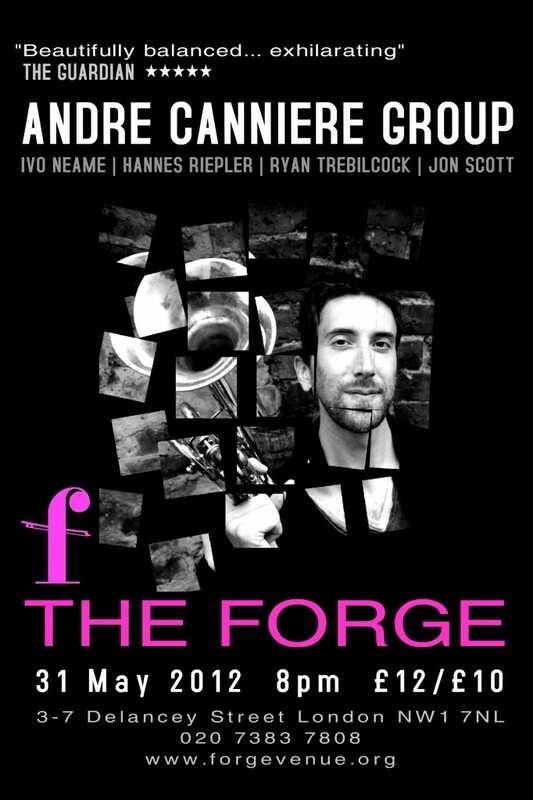 The Andre Canniere Group will be playing at The Forge in Camden on Friday May 31st. We’ll be playing music from our acclaimed 2012 album Forward Space and previewing brand new music from our upcoming release on Whirlwind Recordings. I wrote a little preview of the gig for the London Jazz website last week which you can read HERE. Advance tickets are available sale HERE. The Forge is a beautiful space to hear music and the bar and restaurant has a limited number of tables available for dining during this event with a delicious 2 or 3-course set menu. To book a table, please ring 020 7387 5959. Please note that you MUST book tickets in advance for this event if you are booking a table to dine.